My Creative View: Got Snow! Yikes! Did we have a storm this week or what? For a minute I thought I was dreaming that I was living in Chicago again...Nope, it was the storm of the decade for the Puget Sound area. I didn't spend as much time outside as my husband and son did. I am fortunate he took so many pictures. I have about 200 good ones to choose from. 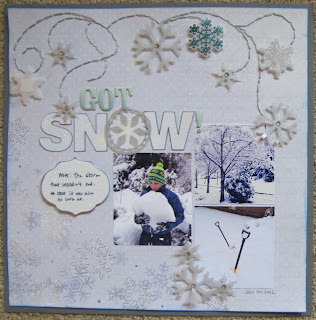 This is my submission for the Frosted Designs Blog Hop. As soon as I saw the prompt was to use vellum, acrylic or transparency, I knew I wanted to use vellum and some of these new snow pictures. I decided to try cut some snowflakes using my Cricut, something I've never done before. Wow, they turned out great. I used a simple snowflake, and kept them larger in size because I didn't want to tear the paper. For some size variation, I then used my punch for the smaller flakes. 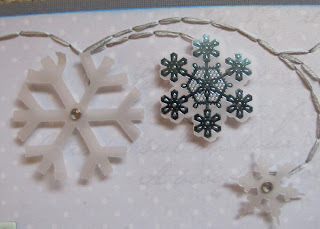 I added some colored & embossed acrylic snowflakes for a change of shape and color. This LO will also be my entry for this weeks Issue Challenge over at Club CK, inspired by a card. 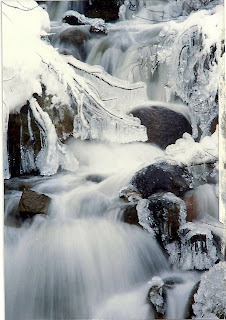 My Dad is a photographer/art designer. 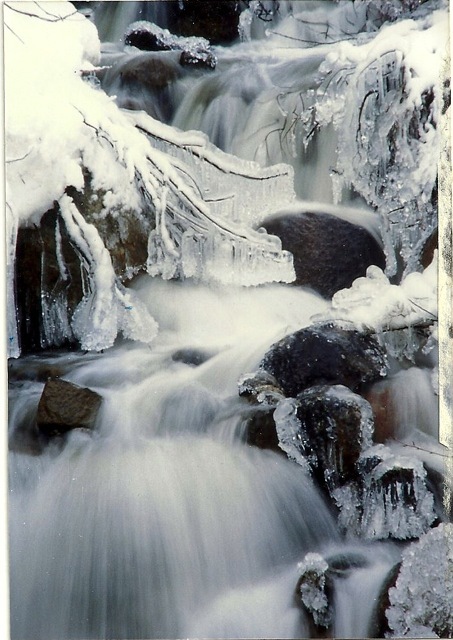 He takes the mist beautiful scenic photographs and chooses a favorite to be his Holiday Card each year. This is one of my favorites from a few years ago, taken in the Lake Tahoe area. I always cut the card part off and keep the photo. This the the card that inspired my LO. Your layout is really pretty! I love the soft colours and those snowflakes. 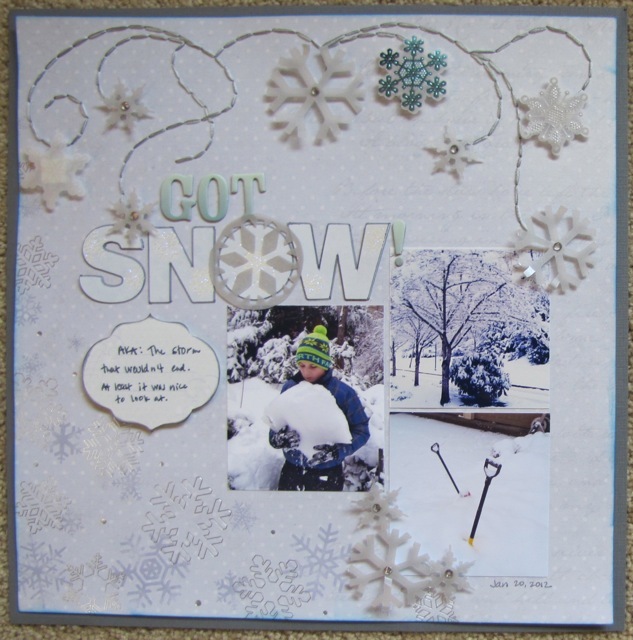 Thanks for playing along with our blog hop at Frosted Designs! So pretty! I love the feel of your LO. I'm a new participant over at the Issue Challenge, but wanted to tell you how much I like your design and how you embellished it. I really like the texture and variety. I am in Indiana and I think our weather got mixed up with yours -- we keep getting rain. Very pretty layout! 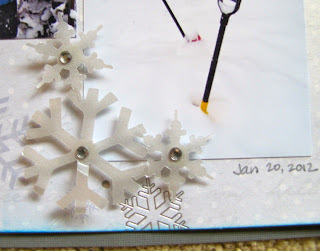 Vellum with snow is just perfect! I hope you'll join us again at Frosted Designs! Beautiful, Devra! I love this one!